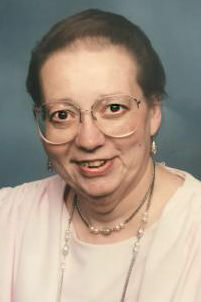 MADISON—Elizabeth Ann Lambert passed on April 6, 2019, at Agrace HospiceCare. Born Aug. 24, 1941, in Milwaukee and graduated from West High School in 1959. She married Edward Lambert on Feb. 9, 1963, at St. Thomas Aquinas Church. She enjoyed the company of her family, playing bingo, watching old westerns and her faith was very important to her. Preceding her in death were her parents, Karl and Irene Eberle; brother-in-law, Eddie Pertzborn. She is survived by her husband, Ed Lambert; their children, Susan, Patrick (Karen) Lambert; grandchildren, Dana (Juan) Cervantes, Mikey (Stephanie) Lambert; sisters, Pat Pertzborn, Anna (Ed) Delabar; brother Karl Eberle; and her great-grandchildren, Angelina, Makenzie and Giovanni, whom she loved dearly. A visitation will be held at CRESS FUNERAL AND CREMATION SERVICE, 3325 E. Washington Ave., Madison, on Friday, April 19, 2019, at 3 p.m., with Father Donn presiding beginning at 4 p.m.
Stanley Kutler, the pre-eminent historian on Nixon-Watergate, lover of words and the freedom to use them, the sort of professor who considered providing inspiration to be part of his mission, died Tuesday.